Growing up in the throes of an unstable Rwandan government, Alex Nsengimana experienced first-hand the travesties of his nation’s genocide. After his mother died of HIV/AIDS while he was still very young, Alex, his brother and sister went to live with their grandmother and their uncle. At the height of tribal unrest in 1994, the genocide claimed the lives of his caregivers. Fleeing for his life, Alex escaped gunmen when he fell and they took him for dead. He ended up in an orphanage that would serve as his home for the next several years. Alex received a shoebox from Operation Christmas Child one year after arriving at the orphanage and remembers being so excited to have a gift to call his own. 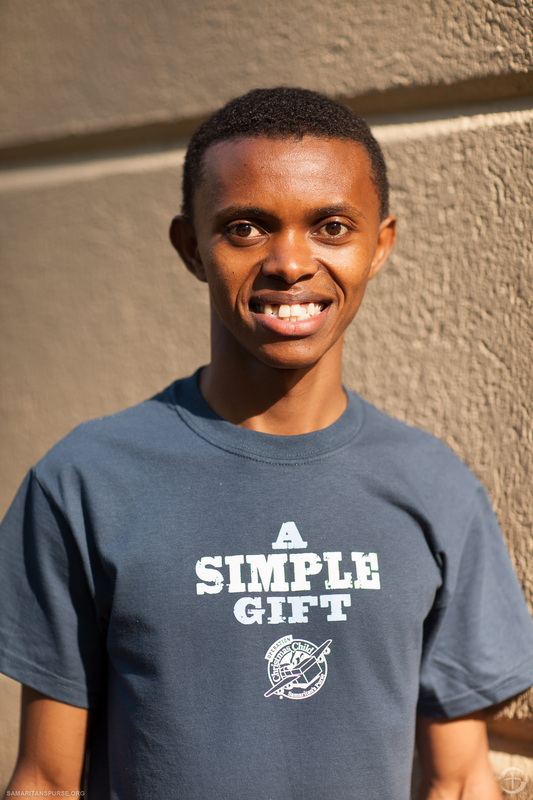 Alex was selected to join the African Children’s Choir and traveled to Uganda to train and began touring in the U.S. Now Alex lives in North Carolina and speaks on behalf of Operation Christmas Child around the country. In 1996, Randy felt called to serve with Samaritan’s Purse and the Operation Christmas Child program and the Lord continues to affirm that calling today. Now serving as the Domestic Director for the US, his role is to steward all aspects of the program inside the US. 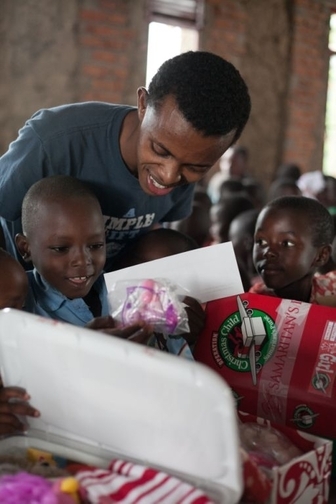 He credits God’s blessing and provision for Operation Christmas Child’s shoebox increases annually as well as the tremendous growth in volunteer partnership. Since 1993, Samaritan’s Purse has sent more than 100 million shoe box gifts, paired with the Gospel to children living in difficult circumstances in more than 130 countries. Prior to joining Operation Christmas Child, Randy served as the Assistant Director of Alumni Development for Marketing and Field Activity at Appalachian State University where he established volunteer led alumni clubs and chapters; as well as managed the marketing of the Alumni Association nationwide. Randy and his wife, Rebecca, live in Boone, NC with their three children; Reilly (11), Cooper (8), and Mary-Kathryn (7).